We in Alabama are passionate about helping people and often love to work with technology and equipment. If you are drawn to healthcare. If you pride yourself in reaching out to people in need of hour. And if you want to make a difference in people’s lives, a career in the hearing health services industry is what awaits you. Become a licensed hearing aid specialist in less than 3 months with Hearing Aid Academy’s online program. HAA Hearing aid specialist licensing program prepares you to pass the state licensing written and practical exam here in Alabama. Learn anywhere anytime with a working internet connection and a laptop. Alabama is full of interesting surprises. Do you know, Heather Whitestone McCallum, born in Alabama, was the first deaf Miss America title holder? After 29 years, Heather Whitestone became more than just Ex-Miss America. She became a hearing person in 2002. Deaf since she was 18 months old, she chose to pursue her dreams and made history as the first Miss America with a disability in 1995. But, it was not until the day when she couldn’t hear her son’s cry for help that she chooses to undergo a cochlear implant. For many people who are deaf or hard of hearing, hearing implants can dramatically improve their life quality. Want to make a change in someone’s life? Help them hear different sounds by qualifying as a hearing aid specialist here in Alabama. We offer an advanced 100% online education program to help you pass the hearing aid specialists state licensing exam. You can complete this self-paced learning program within 3 to 6 months. Further, you can easily arrange the learning schedule to meet your individual needs. When you enroll in a traditional program, you must leave your job, forget your hobbies and make studies your priority. But with HAA hearing aid specialist licensing Alabama program, you can work regular hours, and make progress with a rhythm that suits your schedule. The Hearing Aid Academy offers the most comprehensive hearing aid specialist education for the written and practical exam at a cost-effective price. Monthly payments start for as low as $199. While the average cost of a traditional setting depends on a variety of factors, online programs cost less because the associated expenses are near to negligible. Do you dread sitting in a classroom for long hours? Are uncomfortable chairs causing you a backache at the end of the day? If so, HAA online program is the solution. When you opt for online programs such as the hearing aid specialist licensing in Alabama, you will not be bound to physical classroom sessions. To get hearing aid specialist licensing in Alabama, applicants must first pass a written competency exam, the International Licensing Exam (ILE) for hearing health professionals administered by the International Hearing Society (IHS). Every state has different laws, regulations, and policies for regulating the professions of hearing aid dispensers. And as an applicant, you are required to pass the written and practical state exam. Also, it is important to get familiar with your state requirements to work as a hearing aid specialist. If u want, HAA can help you with that. 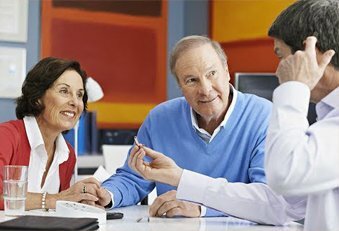 Why Choose Hearing Aid Academy? At Hearing Aid Academy, we have knowledgeable and qualified instructors who have at least 30 years working as hearing aid specialists. For over a decade, Hearing Aid Academy has effectively helped students prepare for ILE to become successful hearing aid specialists. So if you want to help people hear every sound around them, enroll yourself with the Alabama hearing aid specialist licensing program today. You can call the Hearing Aid Academy at (903) 487-0097 or send an email at admissions@hearingaidacademy.com.